I have been passionately committed to improving people's quality of life for over 15 years. 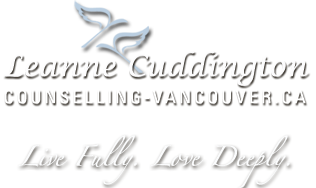 As a Registered Clinical Counsellor, I help individuals and couples strengthen their relationships with themselves and others to create positive choice and change in their lives. 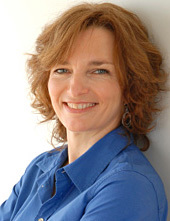 Building on my education in Body Psychotherapy (Master of Arts in Somatic Counselling Psychology), my Kitsilano, Vancouver-based practice integrates work with the body and mind to release emotions that are otherwise difficult to express. See more details about my therapeutic approach here. As a long-time resident of Vancouver and the mother of two daughters, I find inspiration and solace in the beautiful natural world at our doorstep. Besides walking my golden retriever, I enjoy hiking, yoga, dancing, swimming, and spending time with friends. Stimulated by the rich intellectual and experiential traditions of East and West, I also cultivate awareness, insight, and compassion for myself and others by practising meditation and other contemplative disciplines. My goal is to help you draw on your inner resources to reach a healthier and happier state of well-being. Please contact me for a free initial 20-minute consultation or to arrange an in-person appointment.